Cleverly named, F2, the unique design quickly raised some eyebrows during competition and proved effective on the ground and in the air. Designed with aspects learned from the original Finnisher bodies, the F2 provides an even more aggressive look with included details which remain crucial to performance. 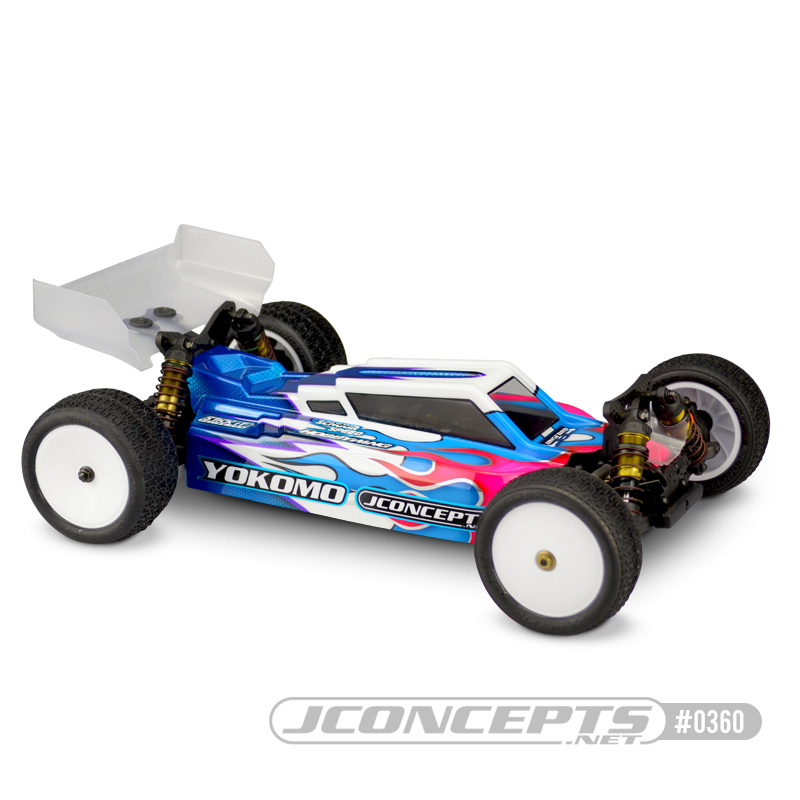 The F2 body is a drop fit for the popular Yokomo YZ4-SF buggy. In addition to the newly designed body, JConcepts has included two of the latest Aero S-type rear wings used by Ryan Maifield to win the IFMAR World Championships.